Canada Train Radio 1 is from field recordings gathered on a train trip from Toronto to Vancouver, in March 2003, carrying a radio, listening for weather, finding how train and radio move together. Canada Trainradio 2018 - waiting games and widespread smoke is from recordings of train and radio gathered on a return trip from Toronto to Vancouver, in August 2018. 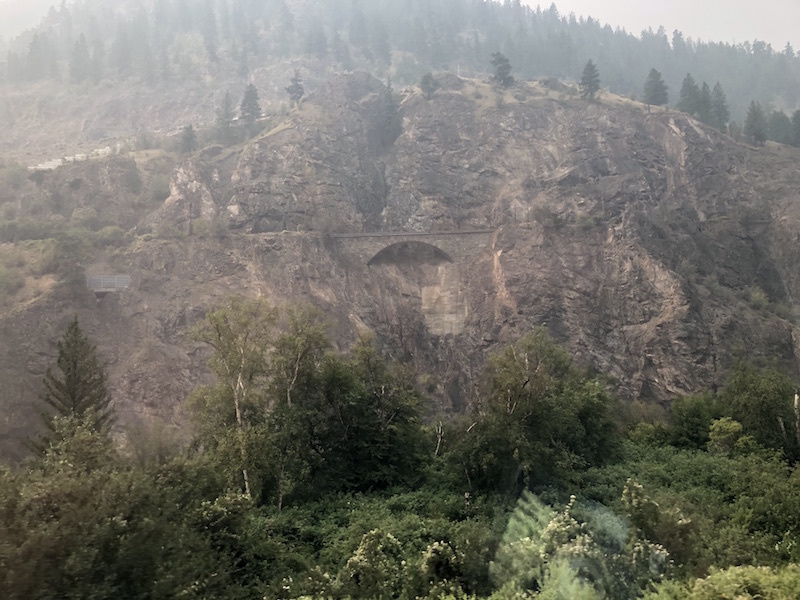 The timing of the trip was affected by freight delays and coincided with the longest weather advisory in BC history: widespread smoke. The work was buoyed by several conversations. In particular, a conversation with Prof. Dylan Robinson (Queen's University Canada Research Chair in Indigenous Arts) about the "sub-frequency of colonial labour" (a quote from the Soundings curatorial score by Robinson), was an important influence on my approach. Thanks to Jan Desrosiers, Glenn Macdonald, Tapanga Koe, Yassin Al Salman, Dorothy Caldwell, Jess Graham, Laura Murray and the Queen's Fireside Conversation series audience for their conversations about work in progress.